Did you know you could face up to $25,000 in fines and/or jail time by flying an unmanned air vehicle (UAV) or a drone by not following the regulations? 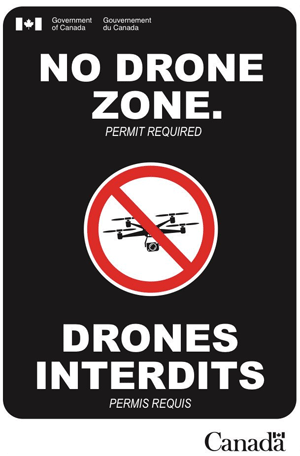 For safety purposes you’re not allowed to fly an UAV or a drone within 9 km of the airport without permission from Transport Canada. All airports (also heliports and seaplane bases) are considered “No Drone Zone”. Put safety first and learn more about Drone Safety from Transport Canada.